Entrepreneurial Edge Idea to Launch is for every entrepreneur -- whether you are an inventor with hundereds of ideas or you are ready to launch and want to do it right - the first time. Entrepreneurial Edge Idea to Launch teaches you the rules of the game so you can play. In 12 hours (usually over 4 weeks), you learn how to plan, design, and launch a start-up that will meet or exceed your personal income goals. In-Person classes start monthly in locations throughout the greater Puget Sound: Bellevue, Redmond, Seattle, Everett and Auburn. On-Demand - online and on your own time - classes start each Monday after enrollment. Learn more at a SEAP Orientation! Girandola offers FREE Orientations at many of the WorkSource One Stop locations throughout Western Washington. Check us out on the WorkSource calendars -- "SEAP Orientation". Each county has their own website, so contact your UI navigator for help location a SEAP orientation near you. What is the Self Employment Assistance Program? SEAP stands for Self Employment Assistance Program. It's a unique program created by the U.S. Employment Security Department for individuals in career transition who want to be their own boss. Entrepreneurial Edge Idea to Launch is available in ALL COUNTIES of Washington State and Oregon. See for yourself at the ESD. Girandola, and all our classes, can be found on the Eligible Training Provider (ETP) List at CareerBridge.WA.GOV. 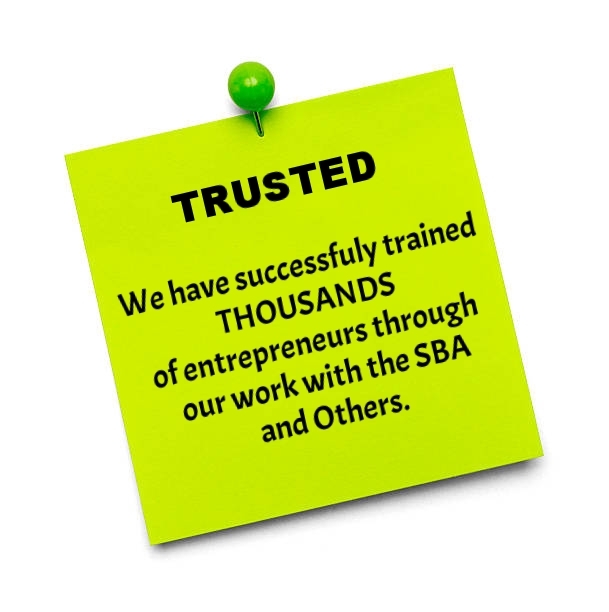 Whether you are a seasoned business owner or brand new to entrepreneurship, our SEAP-certified entrepreneurship training program will take you from Idea to Launch. 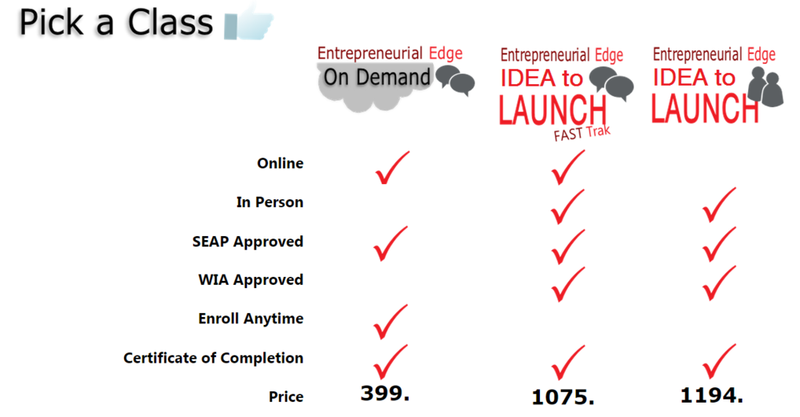 Why Choose Girandola and Idea to Launch? What Makes Idea to Launch the Best Option for YOU? 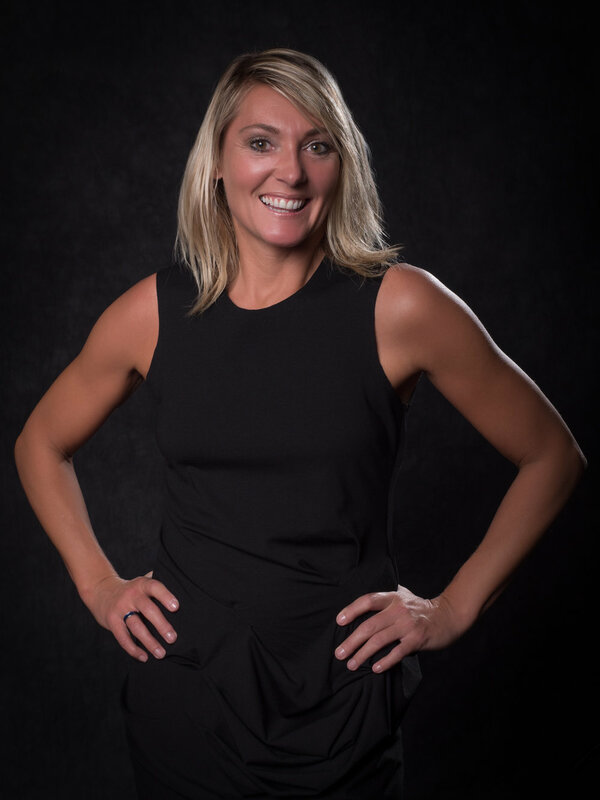 Our professional entrepreneurship training program was created by Tiffany McVeety, a start-up advisor, angel investor, former investment banker, and Author of the well acclaimed Entrepreneurial Edge Small Business Toolkit. By the time Tiffany was 30, she was worth over 4.1 million in stock options and was considered a walking mutual fund for all the companies she helped launch and fund. She created the Entrepreneurial Edge series of books and classes to remove the complexities from launching a new venture. ""The Rules are the same. Only the Tools have Changed." Girandola tools are your guide-on-the-side leading you step-by-step to create your preferred future. She teaches you the rules of the game so you can play. Success Rate - Nearly all of our SEAP students complete the program to launch new companies, land new jobs, or transition into a new industry all together. Yes. You will complete a business plan during Idea to Launch. We use two tools exclusively, the QuickPlan and Executive Business Plan - a proven one-page business plan template used by the big guys to raise millions. Our programs are trusted by the U.S. Small Business Administration, U.S. Small Business Development Centers, U.S. Women's Business Centers, and U.S. State Department for whom we have provided training to individuals from over 50 nations.